With Windows 10 April 2018 Update, Microsoft introduced a new feature called Nearby Sharing. With the Nearby Sharing feature, you can quickly share files between two Windows 10 devices without connecting them with an Ethernet cable. The Nearby Sharing feature transfers files over Wi-Fi (does not use your internet bandwidth) or Bluetooth (when devices are not connected to the same Wi-Fi network). 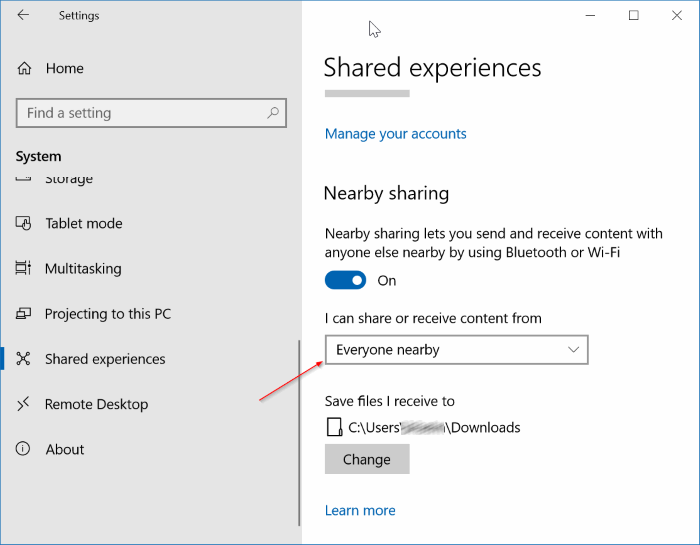 Some users who have gone through our how to share files between two Windows 10 devices with Nearby Sharing feature article have reported back that the feature is not working for them. If the Nearby Sharing is not working for you as well, the following are some troubleshooting tips. IMPORTANT: We assume that you have turned on Nearby Sharing feature in Settings > System > Shared Experiences. 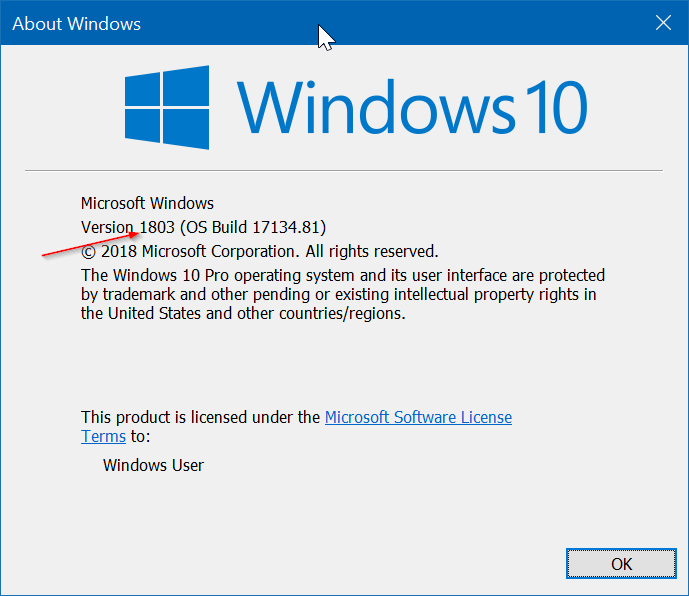 Nearby Sharing feature is present in version 1803 or later versions of Windows 10 only. Check your Windows 10 version by typing Winver.exe in the search field and then hitting the Enter key. Microsoft lists Bluetooth 4.0 or later is one of the requirements for Nearby Sharing feature. Refer to our how to check the Bluetooth version in Windows 10 guide to make sure that your PC has Bluetooth 4.0 or later version. According to Microsoft, Nearby Sharing feature requires Bluetooth 4.0 (or later) with Low Energy (LE) support. 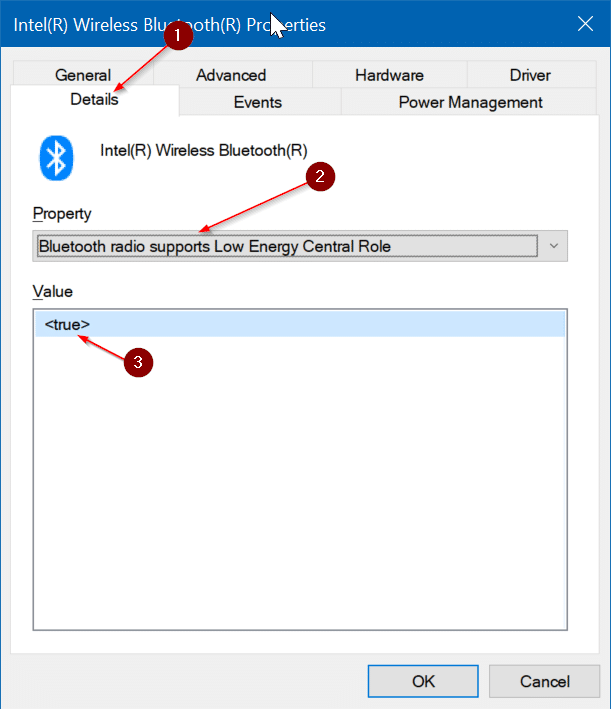 Here is how to check if your Bluetooth supports Low Energy. Step 1: Open the Device Manager by typing its name in the search field and then hitting Enter key. Step 2: In the Device Manager, expand Bluetooth. Right-click on Bluetooth adapter entry and then click Properties. Step 3: Under the Details tab, select Bluetooth radio supports Low Energy Central Role, and then check its value. If the value is True, it means that your Bluetooth support Low Energy. The Nearby Sharing feature is meant to share files between PCs that are placed close to each other. Make sure that both PCs are in the same room if the PCs are not discoverable. There is an option to configure Windows 10 to send or receive content only to/from your devices (devices linked to your Microsoft account). If you are trying to send or receive files from someone else’s PC, make sure that Everyone Nearby is selected in the I can share or receive content from drop-down box. When PCs are not on the same Wi-Fi network, Nearby Sharing sends files over Bluetooth. As you know, Bluetooth is generally slower than Wi-Fi. Connect your PCs to the same Wi-Fi network to for faster file transfer rates. Let us know if you are experiencing any other issues with the Nearby Sharing feature. What should someone with Bluetooth Version 4.0 and below do? There are no homegroups either! Ian, what problem you are encountering? I cannot get this feature to work. I wish that it only relied on Wi-Fi instead of both Wi-Fi and Bluetooth. Others also have the same problem. It seems that there is no fix now. I have fulfilled all that you mentioned. None of my 3 PCs in the same room is working. No device is discovered.